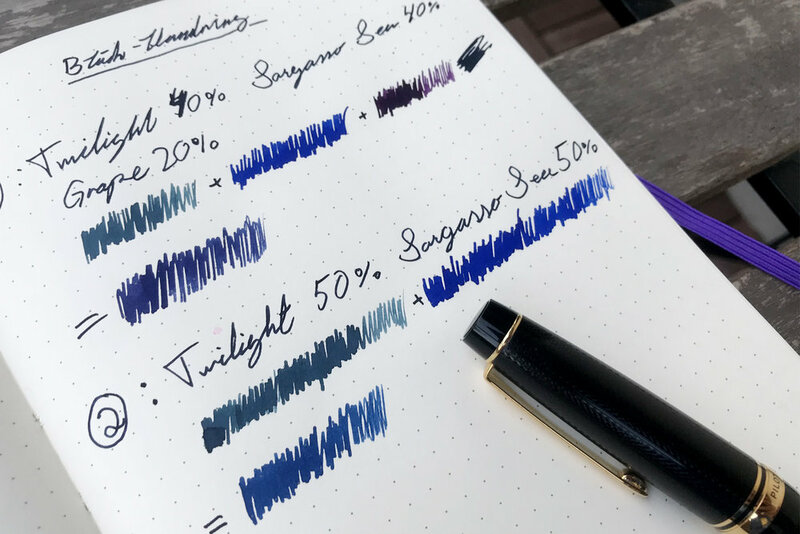 Some time ago I wrote about what I thought was one of the best beginner fountain pens, so I thought it was time to write about one of my absolute favorite pens. This is the pen you buy if you want to skip the beginner pens and just buy a super good pen straight away, or if you already have a couple of pens and want to upgrade. 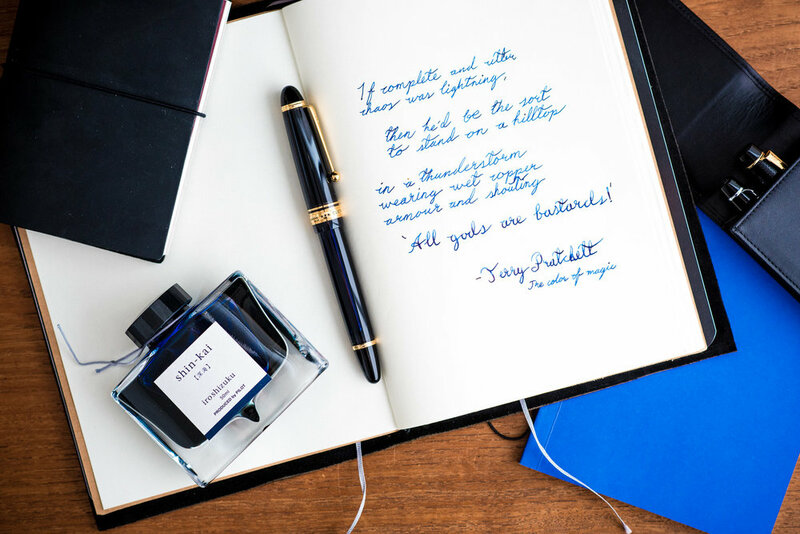 This is the Pilot Custom 823, one of Pilots top of the line pens and only vacuum filler pen. The pen comes in three different colors, a clear one, an amber one and the one that I have, smoke. All of them are translucent so that you can see how much ink is left in the pen, but the Smoke one is almost so dark as it looks black, and I like black. It does however change color in strong light depending on what ink you use. 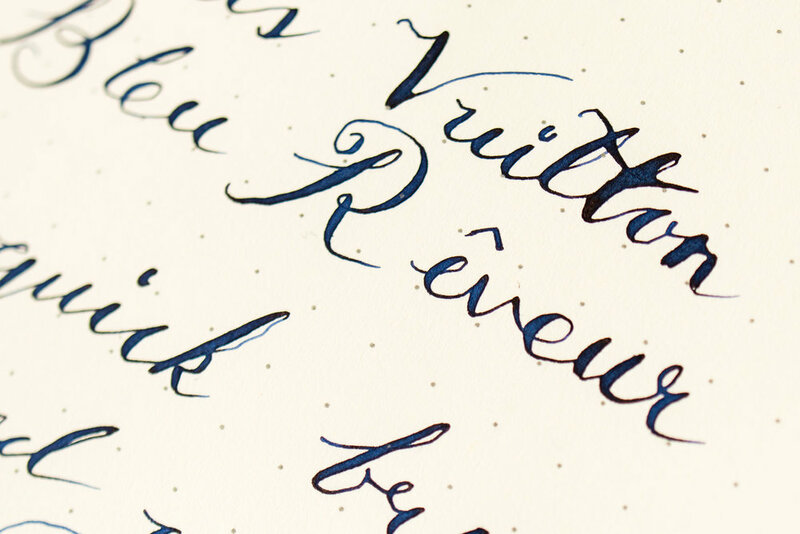 I use Iroshizuku Shin-kai in it right now and then the pen gets a beautiful blue shine. One problem is that all the colors aren’t available in all parts of the world, hey, Pilot doesn’t even sell the pen AT ALL in Europe. Therefore, I needed to get mine directly from Japan via an eBay seller, something I don’t like to do as fountain pens can be a bit finicky, but I had no choice. For those interested in buying it on eBay I can tell you that it was about 210€ and as I live in Sweden I got to pay around 50€ more in VAT. Price wise I would say the pen is worth every cent and more, If you only are getting one pen (and don’t want a flex nib), this is the one. One thing to note is that this pen has a built in filling system instead of the more common converter (in which pens you can also use cartridges). That means that this pen can contain more ink, but it’s also harder to clean. 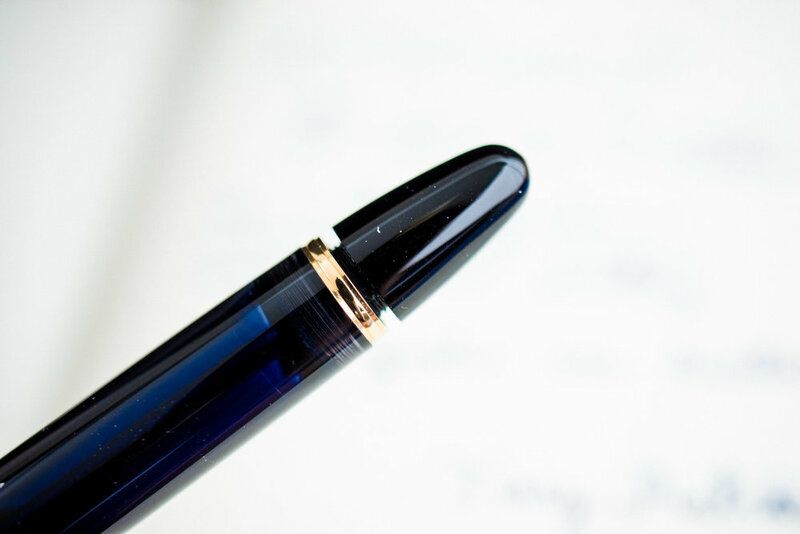 The special filling system also need you to unscrew the back of the pen a few millimeters if you are going to write more than a few notes. That can probably be annoying for some people but I don’t really care. One thing I like about the pen is the weight and size. 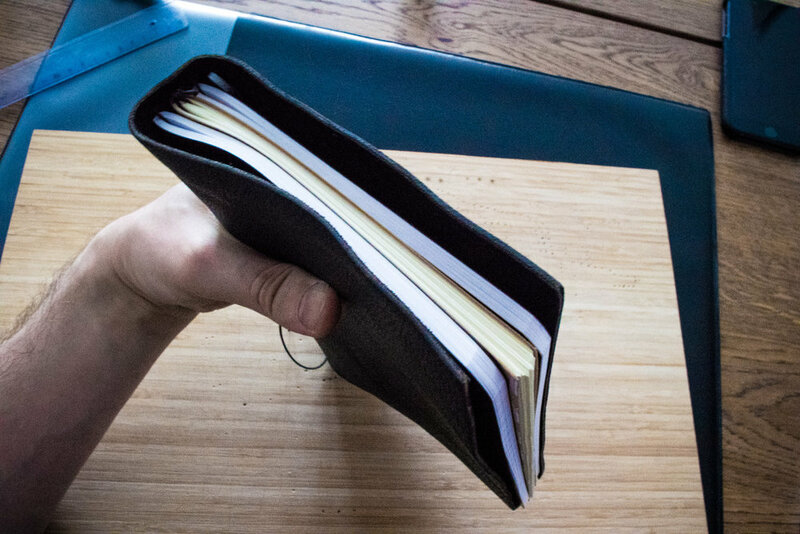 I would call this the perfect size for both small and large hands and I can write for hours with it. Last but not least, let’s talk about the nib as that is what actually does the writing and probably is the most important part of the pen. I’m not going to get too “geeky” but let’s start with a couple of words about nibs for you beginners out there. A nib is often described as being smooth or writing with a bit of feedback. 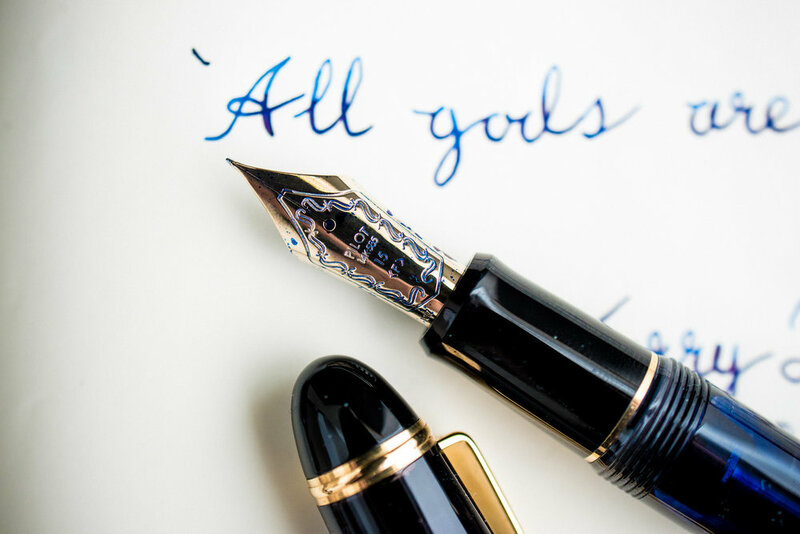 A smooth nib is one that you almost can’t feel when you write with it, it just glides over the paper. 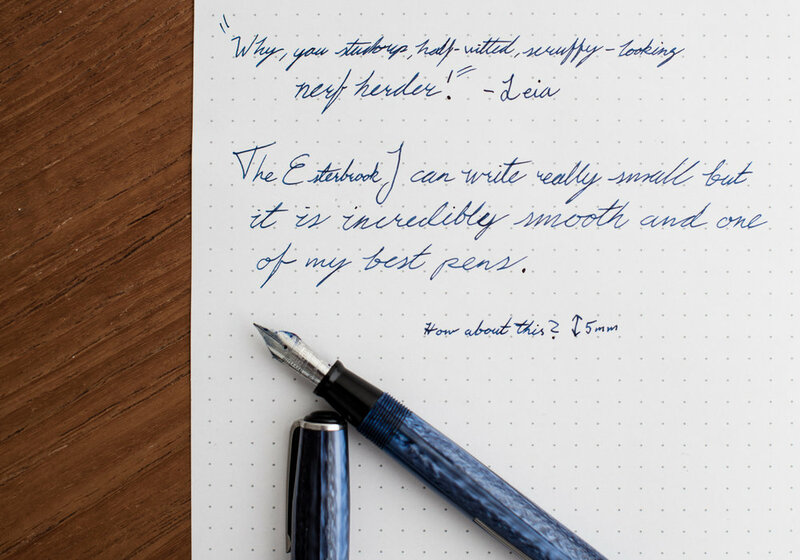 The writing feel of a nib that has a lot of feedback could more be described as the feel of when you write with a wooden pencil. 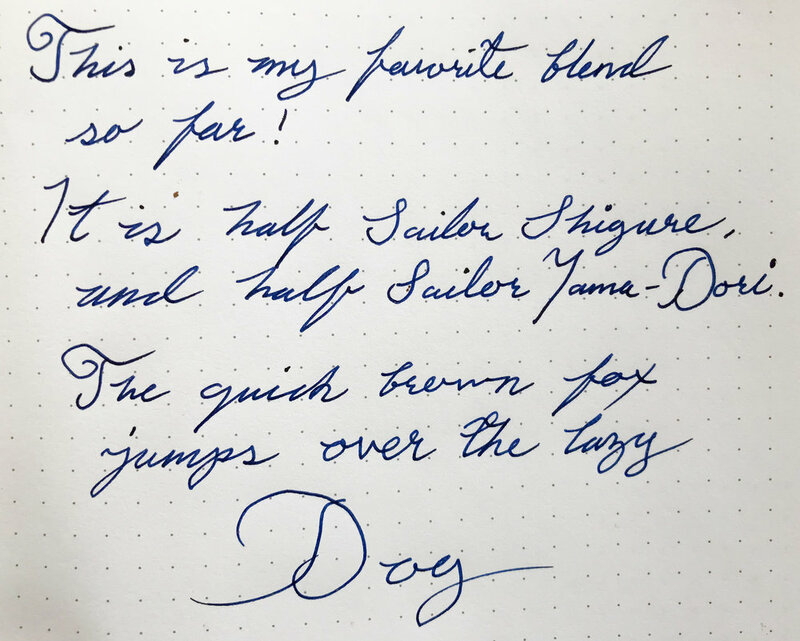 This pen has a nib that I would call the golden mix of the two, it is super smooth but with some feedback so you actually can feel that you are writing. Another thing I like about the nib is that it’s pretty big so it flexes a bit for some line variation and a great feel. 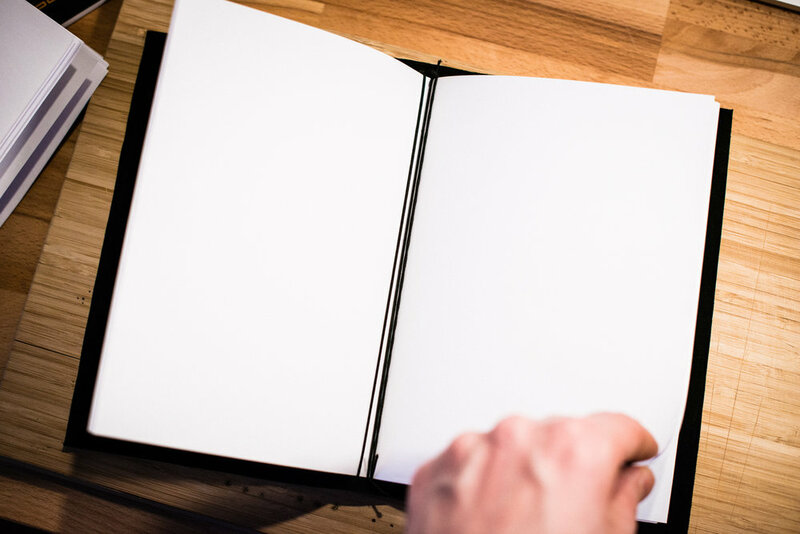 The shape is also quite long and slender so you get a perfect view of what you are writing, perfect for sketching. There you have it, that is why I love this pen. 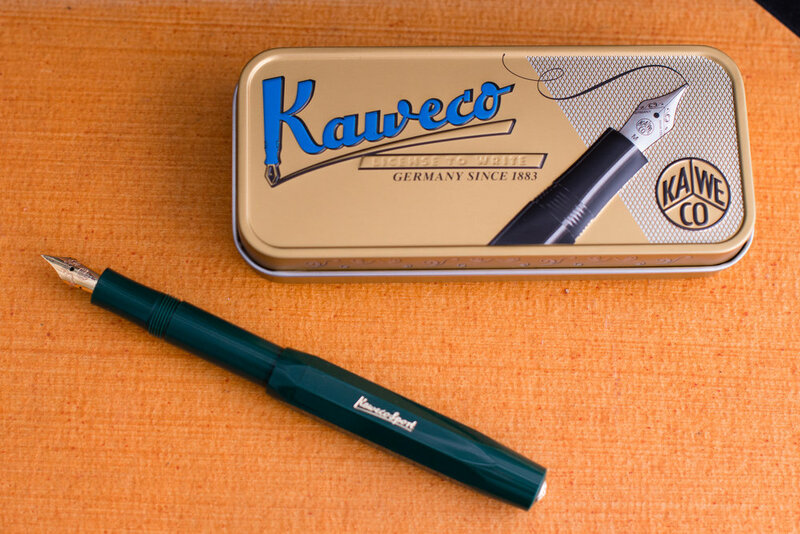 This is the Kaweco Sport and it may be my number one tip for anyone who wants to buy their first cheap fountain pen. 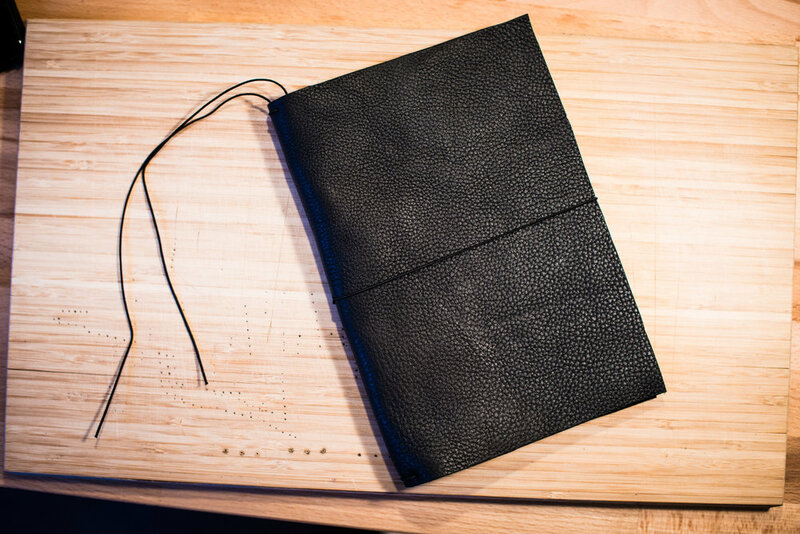 It is cheap, it has a great 30's design, it writes well and it comes in a bunch of different colors so there should be one that matches your style. If you like it you can even get a couple of pens in different colors to match your different outfits. Sure, it's not a super classy pen, but for a first fountain pen I would say it's perfect because of the reasons mentioned above. Another great thing about the pen is that it's made of durable plastic and has a secure cap so you just can throw it in your bag without thinking to much about it. 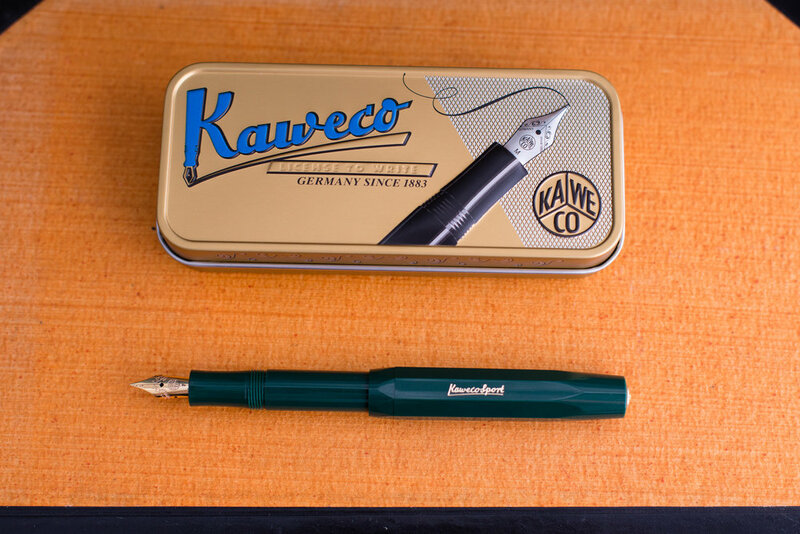 My Kaweco Sport on the pictures has a nib in the size fine which is perfect for taking notes in small notebooks or if you generally write small. I would however say that for most people a medium sized nib would probably be better as it writes more like most "normal" pens. A broader nib also shows of your ink of choice way better so if you like showing of all your cool ink that is also a better choice. But now to the "bad" part. As the pen is so small it is made for using cartridges of ink and not ink from bottles. The boring thing about that is that cartridges really limits what ink you can use. 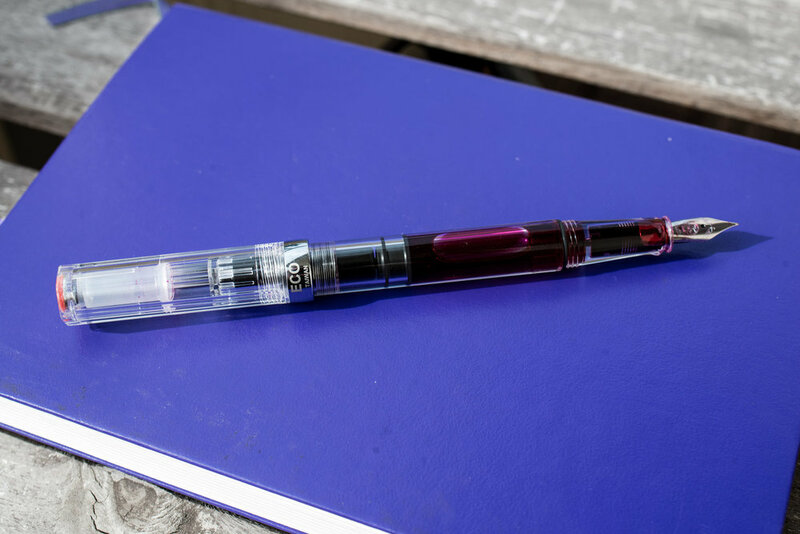 You can buy what is called a converter to the pen, which lets you use ink from bottles, but the converter is so small so you will need to refill the pen quite often. But for a first pen I would recommend cartridges anyway as they are easier to use. Even if I really would like to recommend bottled ink just because of the pretty bottles you can put on your desk. 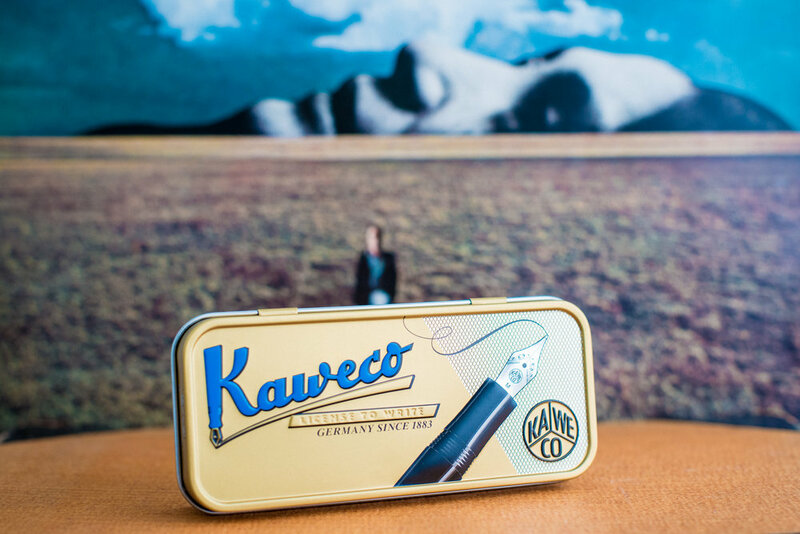 Las but not least, the pen also comes in a very cool looking retro tin box. 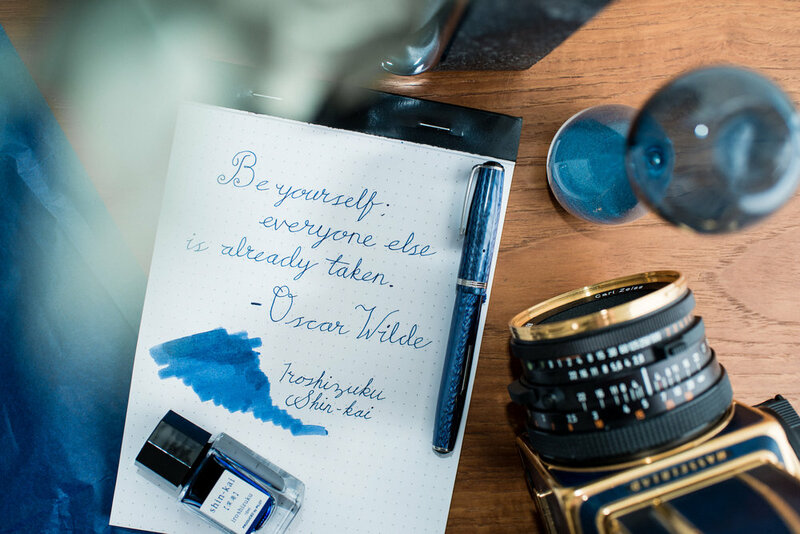 A while after I started to get into fountain pens I turned to the Swedish version of eBay, Tradera, to see what could be found there. I found a bunch of cheap pens from brands I hadn't heard about, and brands I had heard about, so I started to bid. I really wanted to try out some cheap old pens to try different filling systems and learn more about how the pens functioned so I could fix them if I needed to. I also wanted more pens to be able to try out more inks. The first pen that I got in the mail after a winning bid of about 17$ was this blue Esterbrook J and after I got a some more vintage pens I quickly realised that this pen stood out from the crowd. The pen is from around 1950 and except from some scratches on the nib it is in almost unused condition. The most interesting thing about the pen isn't how beautiful it is though, it is that it writes amazingly! It is actually one of my absolute favorite pens and it is actually much better than many modern pens I have, and have tried. It is a small pocket pen and after some research I learned that it has a nib that can easily be swapped out. There are apparently a huge number of different nibs to choose from and mine (with the number 9550) is one of the extra fine nibs for small notes. I think that is perfect because of the pens size and it happens that I take this pen with me as a note taking pen instead of my Pilot E95S (a 140$ pen) because it is at least as good. Of course I also matched the color of the pen with the ink (Pilot Iroshizuku Shin-kai) because why not?